Wednesday appears to be app update day for Android, as a glance through my Nexus 4 revealed all sorts of new popular apps with new builds available. The biggest lies with eBay, which now has tablet support, an updated selling experience, and a redesigned home screen to name a few off the list of new features. 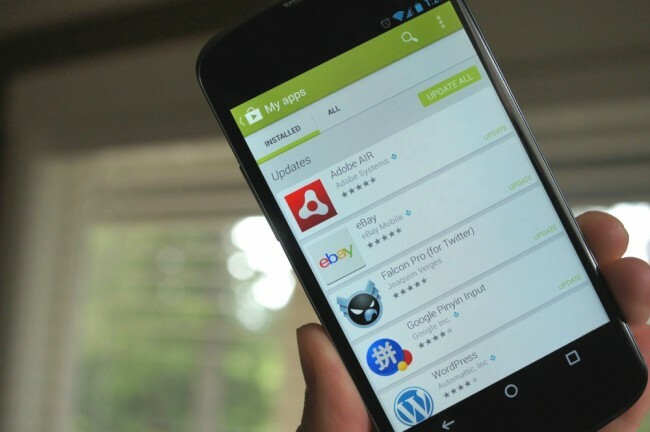 But we’re also seeing updates to WordPress, Blogger, Yelp, Falcon Pro, Adobe Air, and more. The WordPress update (which was actually introduced yesterday) introduces notifications for new comments, followers, likes, etc. The Blogger update finally brings tablet support to Google’s blogging platform, along with a WYSIWYG editor for existing posts. Yelp’s update brought with it fixes for all sorts of bugs, but some new minor actions as well. Adobe Air and Falcon Pro updates are nothing more than bug and security fixes. All changelogs can be found below. Selling now available in Ireland, Singapore, Malaysia, and Philippines! View new comments, followers, likes, and stats highlights. Get push notifications to keep up with your site from wherever you are. Settings and Sign out options have been added to the overflow menu for easier access. And lots more…check it out!